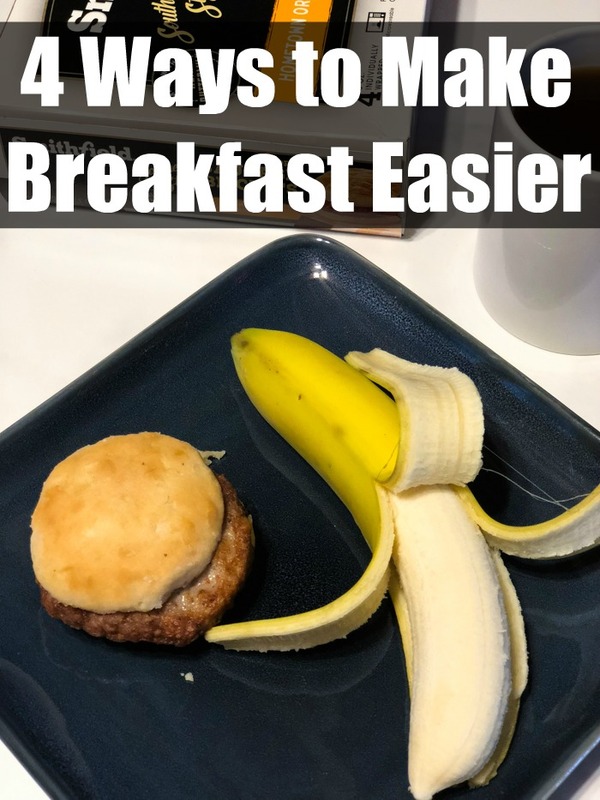 Looking for a way to eat a delicious breakfast when you are short on time? Use these simple steps to make breakfast easier. You know you need to eat right. You know that part of eating right is eating breakfast. Seriously, who has time? By the time I have made the kids breakfast, packed lunches, gotten the girls dressed and ready for school, it is time for me to be out the door, running errands and preparing for a full day of work. It can be hours before I have time to even think about making myself something to eat. If you have a hard time finding time to make yourself breakfast, or getting your teenage children to eat, these tips will definitely help make breakfast easier. Think Grab and Go– Having foods that are easy to grab and eat while you are running out the door can make breakfast more appealing. When I am thinking about food to eat when I am running out the door, I want to make sure that the food travels well. This means I am not sitting down at the table to eat. Cereal or scrambled eggs are not something I have time to eat. I want to make sure my breakfast is portable. Fresh Fruit – Fresh fruit is a great grab and go breakfast. Fruit isn’t messy so it can be taken with you as you run out the door. 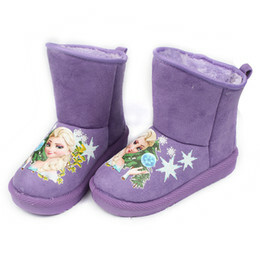 Most kids, even those finicky teens, like at least one kind of fruit. Find Something You Like – I know that might sound self-explanatory, but many people don’t think about that. If you love something you are more likely to eat it. If you don’t like dry cereal, you are not going to want to pack it to eat as you run out. If you love peanut butter toast, you will make it before you head out and will be happy to eat it. Feel Like It’s Take Out – Many people love breakfast sandwiches. So that is one reason why people who are pressed for time will go through a drive-through or go to a convenience store in order to get one. Plus, it takes time to make a breakfast sandwich. Not when you have Smithfield Southern Style Breakfast Sandwiches on hand. 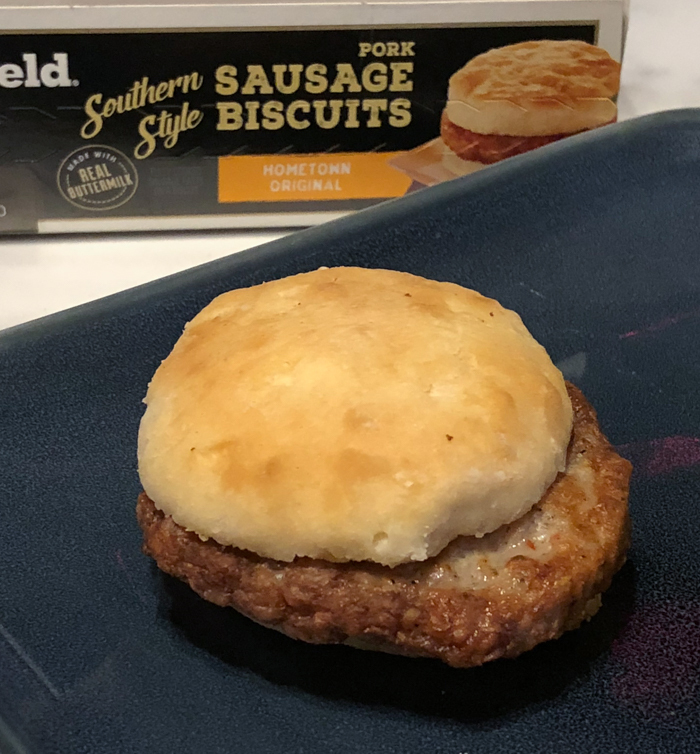 Smithfield Southern Style Breakfast Sandwiches are easy to make in the morning. Each biscuit is individually wrapped and is fully cooked. Having a delicious breakfast that anyone will love is as simple as an under a minute in the microwave and you are out the door. I put mine in the microwave as I am packing my daughter’s lunch. It is done before I have everything together for her. 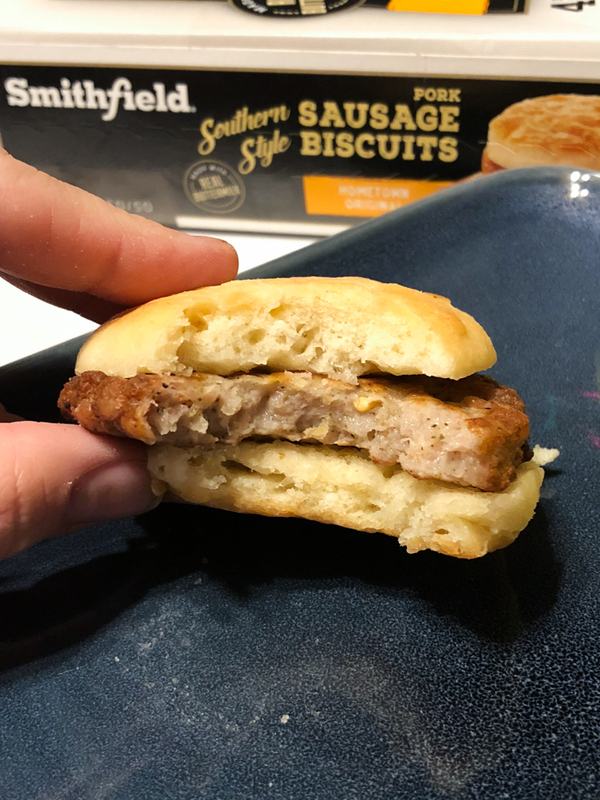 These sausage biscuits are so good, you will never even think about a drive-through sandwich again. Each biscuit is made with real buttermilk for a made from scratch taste. Pair the breakfast biscuit with some fresh fruit and you are starting the morning off right. Be sure to buy extra, because as soon as your kids see how delicious these look, they are going to be asking for it for breakfast too. 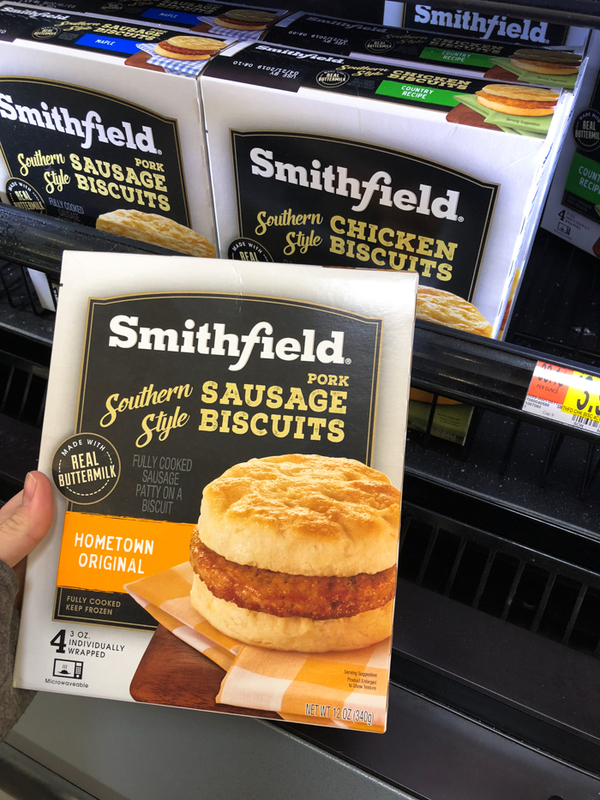 Available in the Walmart freezer section, you can grab the Smithfield Southern Style biscuits in Hometown Original, Maple and Country Recipe varieties, while you are doing your shopping. 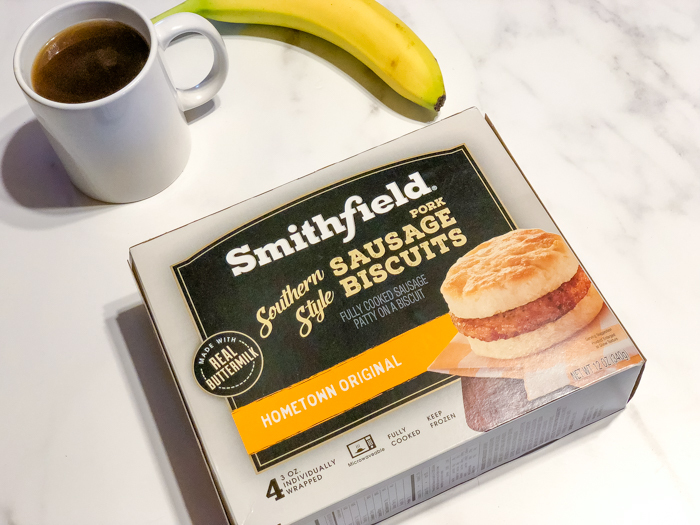 If your local Walmart has Online Grocery Pickup as an option, you can add one or all of the delicious Smithfield® Breakfast Sandwich options to your cart and make grocery shopping even easier. Once you start making breakfast a priority, you will find yourself looking forward to it every morning. Because it is healthier to eat breakfast, let Smithfield® and your local Walmart make it easier for you.